RTI documentation of the coin collection of the Bank of Cyprus Cultural Foundation. A collaborative on-going project concerns the gradual RTI documentation of all coins in the BOCCF collection. Results will facilitate the numismatic study of the most complete collection of Cypriot coinage as well as support issues of conservation. 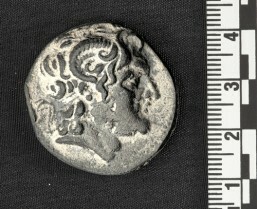 Furthermore, RTI images will be utilized in the museological context of the BOCCF and will be centrally featured in CyI’s Cyprus Culture Digital Library in a comprehensive exhibition and database of Cypriot Coinage.